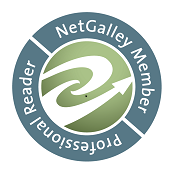 I freely admit with me when it comes to Mary Calmes they all start as 5 star reads and often stay that way or they may slide down to 4.5 or 4 stars. It's not very often that things slide below that. I was pretty conflicted on this one. I liked the overall concept of the story but for me the devil was in some of the details. Now for the best part of the story...Hagen. I loved Hagen...as did everyone else. But Hagen is that person that you just can't help but love. He's good and kind, gentle, loyal and way, way more forgiving than most people but at the same time he really wasn't a pushover. He stood up for himself when he truly needed to and did it without using threats, intimidation or humiliation. The first problem I had was Ash. I did not like this man. He was not nice. He was self-centered, self-absorbed and just totally selfish. He wanted Hagen on his terms with no consideration to what Hagen really wanted or for the life that Hagen had made for himself. He got himself caught in more than one lie. He was manipulative and try as I might I could not see him as someone who was nice, so the fact that he was such a strong presence in the story truthfully irritated me. I honestly just wanted Hagen to tell him to go away. I definitely liked Mitch more than Ash. While I got why things happened the way they did between Mitch and Hagen. There were glimpses of Mitch being sorry and regretting what happened but I just felt like there needed to be more than a glimpse of regret from Mitch. I think he missed Hagen, but it felt more like Mitch did what he did because he had to and he thought Hagen should understand and be willing to move forward from there and I have to admit if I was Hagen it would have been a big 'Oh hell no!' no matter how much I loved or wanted to be with the other person. I honestly can't say what would have made this part better for me. I believe in second chances and that's one of the things that really appealed to me about this story so of course, I was cheering for Hagen and Mitch from the start and I loved the ending of the story it was awesome, but the middle where Mitch's "I'm sorry" just didn't feel as epic as his "mistake" was where I needed more, I needed the "I'm sorry" to be at least as grand as his "mistake" and it just didn't happen. I enjoyed this one but for me it definitely wasn't another 'Frog' or 'Acrobat' or my personal favorite 'Mine'. 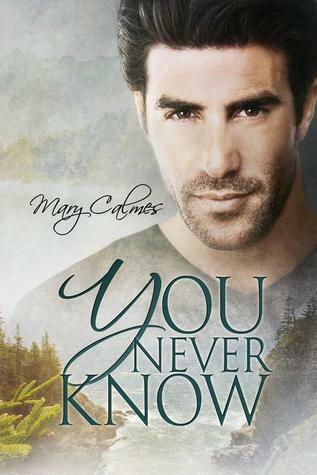 But then if they were all 5 stars how would anything ever be special for us and at the end of the day, I'm still waiting for my next Mary Calmes story because even the good ones leave me happy. An ARC of 'You Never Know' was graciously provided by the publisher in exchange for an honest review.